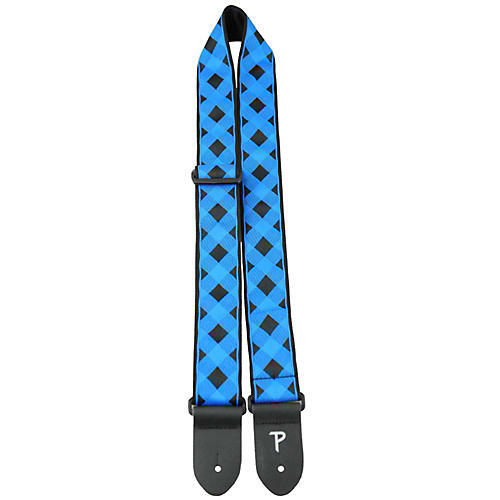 Road Runner Jacquard Latin/Checker Guitar Strap Blue 2 in. This attractive leather strap is adjustable from 39 in. to 58 in. long. It is soft and comfortable and will last many years. Made in Canada.